Tanzania and Mozambique signed a bilateral agreement in Dar Es Salaam recently waiving requirements for visa fees for their respective nationals, giving a new direction to Mozambique Tanzania relations. The agreement was signed by Bernard Membe, Tanzania Foreign Affairs Minister and Jaime Monteiro, Mozambique Interior Minister in presence of President Jakaya Kikwete of Tanzania and President Filipe Nyusi of Mozambique. Under the agreement Tanzanians and Mozambicans have been exempted from applying for visa for stays in each other’s country of up to 90 days, beyond which the parties would pay the required fees expect the students who fall in different category altogether. 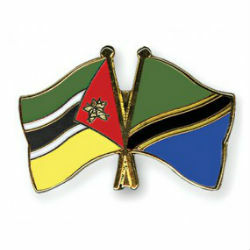 In addition Mozambique agreed to return TZS 1.4 million and TZS 180,000 paid by Tanzanian business and ordinary visitors. Tanzania in respond paid back TZS 400,000 and TZS 10,000 paid by Mozambicans for visas. According to both President Kikwete and President Nyusi the deal is an important step in the relations between the two countries. During the ceremony President Nyusi invited the Tanzanian business people to grab investment opportunities in Mozambique and emphasized that his country has a lot to offer in agribusiness, communications, tourism and manufacturing.